Oregon Gov. 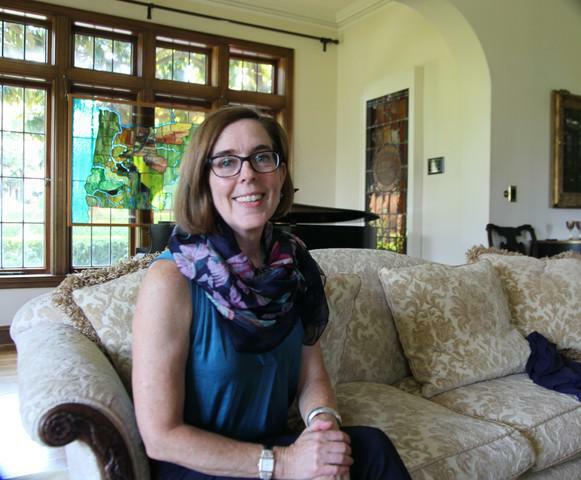 Kate Brown in the living room of Mahonia Hall, the governor's official residence in Salem. READ MORE: Knute Buehler Says He's A Different Kind Of Republican. Is Oregon Ready? And Val Hoyle, the state’s newly elected labor commissioner, said Brown is often held to a different standard because she is a woman. Brown has a way of leading that brings people around the table. People often confuse that, especially in women, Hoyle said, as not being strong enough. “Having a really clear idea of where you want to end up whether it's healthcare or transportation or stabilizing state revenues and being able to articulate that." Now, the often pragmatic Brown is on a mission to convince voters she can be both a manager and a visionary.